In the three months to 31 March 2019, FUM increased 4% to $112.3 billion driven by positive investment movement of $4.5 billion partially offset by net outflows of $0.7 billion comprising sales of $7.9 billion and redemptions of $8.6 billion. Absolute return FUM decreased by $0.2 billion in the quarter. There were net outflows of $0.7 billion, driven by redemptions from Man GLG’s long short strategies. This was partially offset by net inflows into AHL Institutional Solutions. Positive investment movement of $0.5 billion was primarily driven from positive performance at Man AHL (Evolution +5.9%, Dimension +2.2%, Alpha +1.2% and Diversified +1.1%). As we have previously indicated the management fee margin in this category continues to decline due to the ongoing mix shift towards institutional assets which are at a lower margin. As at 31 March 2019, 68% of Man AHL performance fee eligible FUM was at high watermark and 11% was within 5% of high watermark. As at 31 March 2019, 28% of Man GLG performance fee eligible FUM was at high watermark and 37% was within 5% of high watermark. Total return FUM increased by 11% during the quarter. Net inflows of $2.2 billion were seen across strategies, with diversified risk premia being the largest contributor. The investment movement of $0.2 billion was driven by positive performance in the diversified risk premia strategy. Multi-manager solutions FUM decreased to $13.4 billion during the quarter. Net outflows of $0.1 billion comprised redemptions from segregated portfolios, which were broadly offset by subscriptions into infrastructure mandates. Investment performance contributed positive $0.2 billion and other movements of negative $0.2 billion were driven by leverage changes. The management fee margin in this category continues to decline due to the continued mix shift towards managed account mandates and the decline in legacy fund of fund assets. Systematic long only FUM increased by 9% in the quarter. Net outflows of $0.3 billion were primarily driven by redemptions from global core and european core strategies. This was partially offset by subscriptions into Man Numeric’s global low volatility strategy. 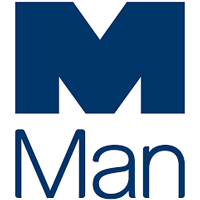 There was positive investment performance across all of Man Numeric’s long only strategies, which added $2.4 billion to FUM. Discretionary long only FUM decreased by $0.5 billion in the quarter. The net outflows of $1.8 billion were from Global, Japanese and US equity strategies. The positive investment movement of $1.2 billion was driven by Man GLG’s equity strategies, particularly Japanese and European strategies. FX gains of $0.1 billion were due to the dollar weakening against Sterling. Click EMG for the full archive.